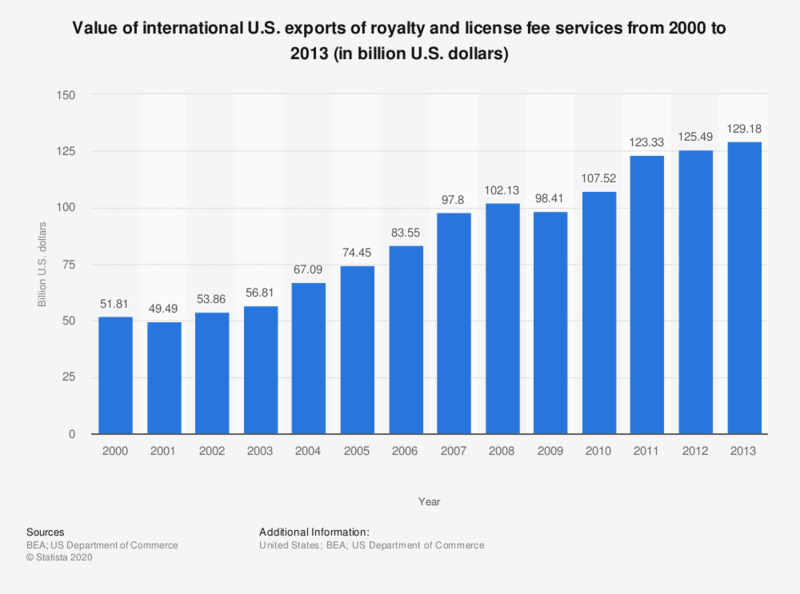 This timeline shows the value of international U.S. exports of royalty and license fee services from 2000 to 2013. In 2012, the value of international U.S. exports of royalty and license fee services amounted to 125.49 billion U.S. dollars. This presentation is now obsolete; the statistics are presented to provide users a bridge between the old and new presentations.